Service / Repair Kit for Audi A6 / Q7 Access Start Authorization Steering Lock Module J518. 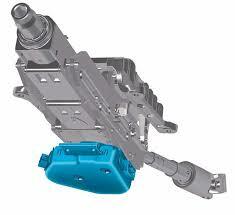 The Access Start Authorization J518 module is a part of vehicle's steering column. Module failure is a common issue in Audi 2005-2011 A6/S6 and 2007-2015 Q7 model vehicles. The issue is typically identified by no start and no response from key in the ignition, or proximity access (Start button). The Start / Stop Authorization Module (along with the Electronic Ignition Switch) is responsible for key/transponder recognition, unlocking/locking of steering wheel and powering up all modules in the vehicle. 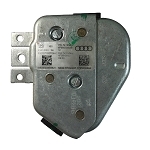 If there is an issue with any of the lock module components (actuator motor, sensing micro switches, relay) or the integrated Immobilizer system Microprocessor/PCB, the module will not provide power to Terminal 15 (ignition on). End result, no ignition and no engine start. The module will typically store "00288 - Steering Column Lock Actuator (N360) - Defective" fault. Please note that replacement of parts included in the repair kit involves advanced soldering experience. We offer a Comprehensive Repair Service that covers all problem areas within the module. Service includes Lifetime Warranty.